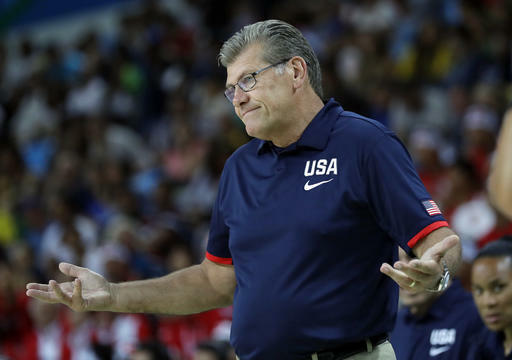 Geno Auriemma and Diana Taurasi have been linked ever since she first decided to attend UConn. Three NCAA championships and two Olympic gold medals later, their relationship is stronger than ever. 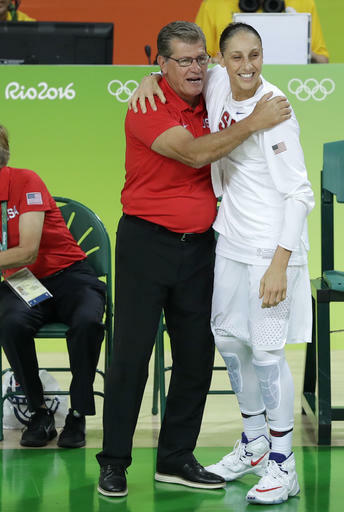 "I think there's you know I think there's a bond there," Auriemma said after the U.S. won the gold medal on Saturday. "There's a special feeling that we have for each other. You know I coached her the summer before college. She was 17 and I coached her in a USA Basketball uniform. And to coach her again at 33, it's been a lot that's happened between 17 and 33." The two shared a long emotional embrace after the 101-72 win over Spain with both walking away wiping away tears. "Like I said to her, I wouldn't be the coach if it wasn't for her. I would never have been good enough to have the opportunity, so I feel like I owe her. How can you play any better in a tournament than she played this tournament? it would not be possible. Even if you wrote it in a movie script, you would say that would not be possible. I mean she just had just a story book tournament that people will be talking about for a long time." 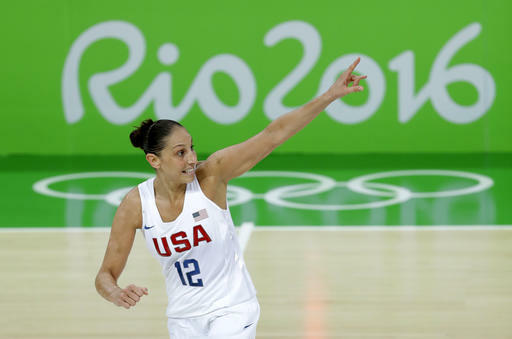 Taurasi averaged 15.6 points, shot 57 percent from behind the 3-point line, including breaking the record for most 3s in a game and in the tournament. The four-time Olympian has hinted that this might be her last Olympics, but hasn't ruled out playing in Tokyo yet. "That's seems like a long, long way from now," she said. "Right now I'm thinking about what I'm having for lunch, what I'm doing for dinner. You know what, if that's an opportunity I'll take it. From the way I'm looking at things, that's probably unlikely." Auriemma for his part left it in part up to Taurasi. "You know, I'll be like Diana. She has the answer to everything. Go ask her," Auriemma said. "Then I'll tell you whether she's right or wrong." That response is a step up from what Auriemma said after the London Games. He was adamant that he'd never coach the Olympic team again and yet four years later he was there again. "I don't know why. After my experience in London I had no intention of coming back," he said. "Zero intention because I felt like I did it and now it's somebody else's turn so let's just move on and I didn't expect that they'd come to me and say we really, really want you to do this again." Auriemma said they caught him at the right time when they got him to come back for Rio. A decision he definitely doesn't regret. "I've even had a better time here then I had in London. Better experience. Enjoyed this even more and gotten more out of it," he said. "If I wasn't here I'd be kicking myself. I'm so grateful that I got this opportunity. I thought London was great. This is even better, a whole other level."